We all have questions about God, faith, religion, and more. Where can we find the answers? Where –and with whom– can we discuss our personal perspectives and experiences about these questions? 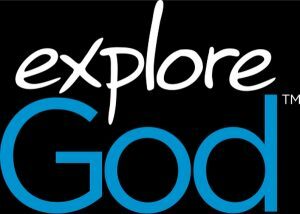 The “Explore God” series is designed to provide opportunities for people to explore these important questions through hearing sermons and participating in follow-up discussion groups. Six area Christian churches have collaborated to invite their surrounding communities in Cape May County to explore the many common and important questions about God. This community outreach initiative calls everyone who is seeking satisfying answers to these questions —both those affiliated with a church and those who do not belong to a church. Why is having and sharing this knowledge important? What is the objective –the mission– of this initiative? Through this process, participants can both strengthen their own faith beliefs and be able to engage in healthy spiritual conversations with others. This is a way for everyone who hears the Word of God to fulfill the command of the Great Commission: to bring the Gospel of Jesus Christ to his/her world —their “sphere of influence”. You are invited to explore God! “Q Place” means a safe place where you can ask questions about the topic under discussion. Everyone has the opportunity to explore the question more deeply –some by asking questions or sharing their own perspective and experience; others may prefer to just “listen in” and learn from what others have to say. 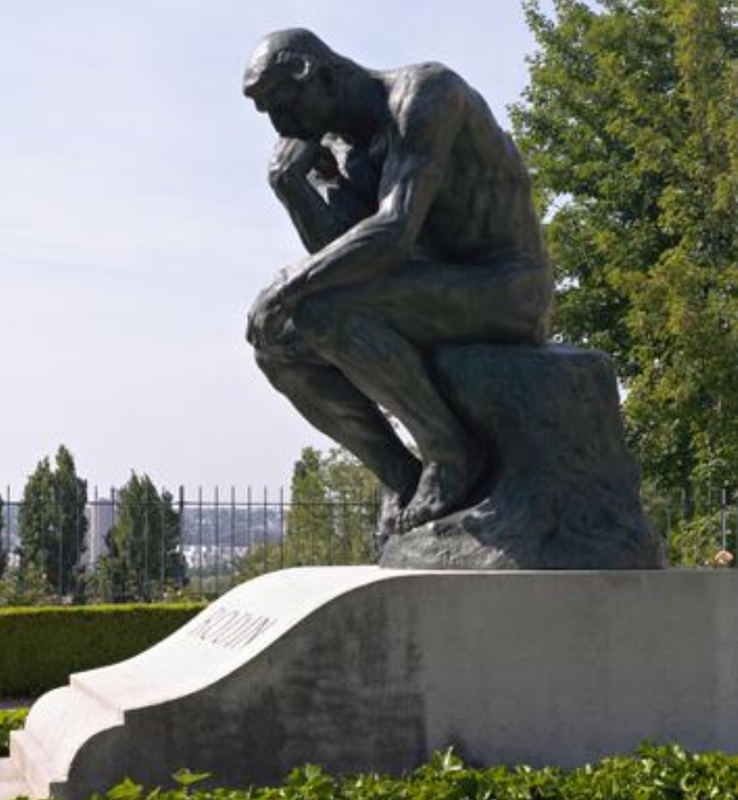 Whether you are an active or a passive learner does not matter; the shared questions, perspectives, and experiences provide an interesting learning opportunity for everyone in the group. A short DVD introduction of the scheduled question will be viewed, followed by comments from the group. These comments are often the catalyst that ignites stimulating discussion! Recommended readings would be presented for those who wish to further explore the topic on their own. For anyone interested in discussing these Sunday sermon questions within a small group setting, simply show up for the designated class. No registration is needed to participate in this open-meeting format. You may participate in any one or more of these weekly sessions. Coffee and fellowship begin at 10:15 a.m. with the discussion led by a facilitator beginning at 10:30 a.m. In the course of the next few weeks, you will notice a banner proclaiming “We all have Questions! –Explore God” posted on Seashore Road as you approach our worship center. There will also be several “lawn signs” positioned by our several property driveways and facility entrances. This is just one of the several ways that our church is announcing to our surrounding community (and the out-of-town drive-by vehicles) that we at Cold Spring are a participating church in this mission! Help us by “spreading the word” and by your personal prayers for its success. Praise God from whom all blessings flow! The joy of service to others. September begins with our national Labor Day celebration, a movement in the United States that started in Oregon and later spread to New Jersey and three others states in 1887. Designated by the federal government to be the first Monday in September, it is dedicated to the social and economic achievements of American workers. Cold Spring Church recognizes Labor Day and expresses gratitude for our staff, and the myriad of current and retired workers both in the congregation and our community at large. Workers have contributed to the strength, prosperity, and well-being of our congregation, and our country. The holiday is well-deserved. We should take joy in our work, and enjoy rest from our labor, too. “Some time later Paul said to Barnabas, “Let us go back and visit the people in all the towns where we preached the word of the Lord and see how they are doing.” Barnabas wanted to take John, also called Mark, with them, but Paul did not think it wise to take him, because he had deserted them in Pamphylia and had not continued with them in the work. They had such a sharp disagreement that they parted company. Barnabas took Mark and sailed for Cyprus, but Paul chose Silas and left, commended by the church to the grace of the Lord. He went through Syria and Cilicia, strengthening the churches” (Acts 15:36-41). In the passage above from Acts, the ministry team that included Paul, Barnabas, Silas, and John Mark decided to re-calibrate the good things they did by paying attention to what was bringing joy, and what wasn’t. 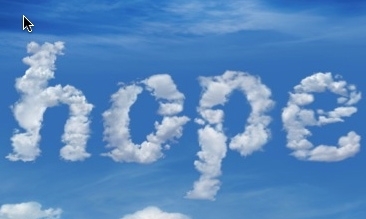 They knew that God not only cared about what we accomplish, but how we are feeling. Our wellness of mind, body, and spirit applies to faith communities, too. I am delighted and humbled to accept the session’s invitation to continue another year in my interim part-time role as the transformation pastor. West Jersey Presbytery’s Committee on Ministry last month approved the contract for another term and celebrated the progress we have experienced. There is a hope-filled future for Cold Spring Presbyterian Church as we continue to listen to the Spirit and move forward together. Thank you your support. More individuals have volunteered to take on new responsibilities and many others have increased their participation in worship, activities, events, and ministries. But there is a flip-side to positive engagement; it is called fatigue. As we continue to grow and learn, we need to monitor ourselves so that we do not become fatigued in doing good (see Galatians 5:6-7). How are you feeling? Do you feel energized or fatigued? Do you feel over- or under- utilized? Are you ready for something new? Or, maybe you need a well-deserved break, or to do something different? While we can feel energized, from time to time we may feel a bit overwhelmed. If you do, that’s O.K., and please let me and others know. We care about how you are feeling! We don’t want to sacrifice our own sense of joy in serving. One of the early mottos of the Labor Day movement was “8 Hours Work, 8 Hours Recreation, 8 Hours Rest.” There is a natural rhythm to the cycles of life in our work, in our volunteer service, and in our retirement, too! There are new ministries developing that might be the perfect fit for you right now, or suggest a new ministry yourself. Do you volunteer with a community organization, not for profit, or service group? Thank you for your service! But remember to pay attention to your own wellness to be sure you are getting the resources you need to offer your best. 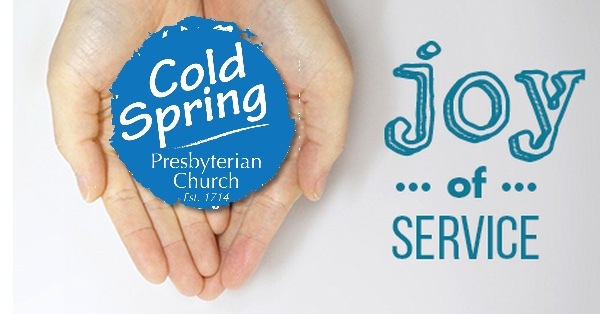 You can count on the Cold Spring Church community to deliver refreshment of the spirit and to support you as you serve. We tend to overlook our own needs. But to experience more satisfaction and joy in your service to others, the first week of September is the perfect time to recalibrate, and be open for what God may invite you to do next. The Apostle Paul’s mission team decided to uniquely invest their resources to visit all the towns where they had served to see how they were doing (Acts 15.36), which resulted in strengthening the churches (Acts 15:41). We need to be strengthened, too. No matter what your availability or the particular gifts you may have to offer, they are welcomed at Cold Spring Church. You can make a difference. Thank you for your labor (1 Thessalonians 1:2-5). Thank you for the opportunity you have offered me to labor another year with you in this ministry! Enjoy your Labor Day. Let’s make time to pause, rest, and then consider how to creatively re-engage to experience joy in the ministry opportunities ahead! Hurricane Harvey struck the Texas coast, Irma hit landfall in Florida, and now Maria is devastating the Caribbean and Puerto Rico. 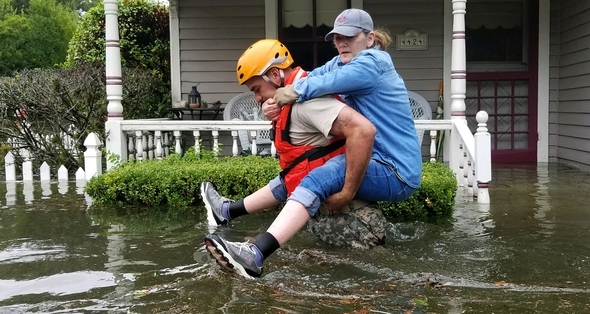 Historic flooding, forcing rivers and streams from their banks, submerging homes, churches, businesses and roads, and stranding thousands of people, with many lives lost make these storms especially tragic. But you can help! Your gifts are urgently needed now to support the communities devastated by these historic storms. You can join in the response and encourage those in need by standing in the “GAP” — Give. Act. Pray. Give today to help Presbyterian Disaster Assistance bring hope & healing to families and communities. We are standing by with resources and our National Response Team members are ready to deploy upon invitation and when it is safe to do so. 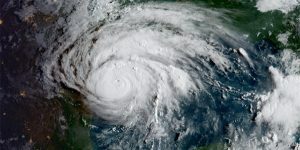 For those who wish to support PDA’s emergency response and recovery efforts, gifts can be designated to Presbyterian Disaster Assistance-Maria. We need your help. Thank you for giving generously. For more information, please visit pda.pcusa.org. Donations received that are designated for Hurricane relief will be forwarded to Presbyterian Disaster Assistance. Thank you for your prayers and response! A cemetery is the setting for transformation. Since before the first Revolutionary War hero was buried in our cemetery, Cold Spring Church recognized that hatred had no place in this country. No place. As followers of Jesus, we are citizens of faith who continue to do whatever it takes to ensure freedom, justice, and liberty for all. Our own declaration as a Presbyterian congregation and our affirmation of freedom predates the Declaration of Independence by 60 years! More than 300 years ago, citizens in greater Cape May got together to put their faith on the line at the crossroads of life when they established Cold Spring Presbyterian Church. We are connected to that stream of faith, and our own stream has even branched out to start other vital faith communities, too. The Living Water flows at Cold Spring Church. As followers of Jesus Christ we not only share core Christian beliefs with others in our worship, but core Christian practice in mission as agents of God’s blessing in and with the communities at large. Among our core values are love, hopefulness, mutual respect, inclusion, and equality for all. “For God so loved the world, that he gave his one and only son, that whoever believes in him will not perish, but have everlasting life. For God did not send his son into the world to condemn it, but that the world through him might be saved (John 3:16-17). We are on a mission. A mission from God. The Apostle Paul said we must never exclude based on religion, social status, or gender (Galatians 3:28-29), and it is not about conservative or liberal, young or old, or personal preferences. We engage, respect, and even seek and welcome a diversity of thoughts, opinions, beliefs, and even distinctives about theology because all of us grow when all of us are involved in listening and learning together, and holding each other accountable for positive change and behaviors. We are against what hates. Cold Spring Church stands for something at the crossroads. We are a sign of God’s presence, peace, and power to bring hope and abundance to all. We continue to listen, pray, and work together as we seek to offer everyone access to spiritual energy. We keep finding new, creative, ways to tell the old, but greatest story ever told in ways that makes sense and can be truly heard by others, not just rehearing it by ourselves. Please join with me in prayer for all of us as a nation, particularly those most affected by the hatred-fueled violence in Charlottesville. Let’s continue to be people of inclusion and peace in our families, neighborhoods, and places of recreation, work, and education. What we do in our life matters. When we stand at the crossroads, we stand with Jesus, with others, and we need not despair because we know that the hope, peace, and courage Jesus offers us “has conquered the world” (John 14:28-29, 16:33). It was someone I hardly knew. A person who existed on the fringe of my life, not even to be considered an acquaintance. I made no effort to engage in any level of conversation with this person. I went my way, and this person went his way. We were aware of each other but did not really know each other. What we knew of each other was basically that we both existed –nothing more than that! And it was that way for many years. But one day an unanticipated personal crisis occurred. When those closest to me were unexpectedly “unavailable”, I felt the shock of instant isolation rendering me feeling helpless and hopeless! My world was crashing around me and my life shattered. Did anyone care enough to reach out to me? Miraculously a “Good Samaritan” somehow found out about my situation, called me, and followed up with a visit. it was this stranger who I have kept at a distance. It was both unsettling and yet comforting to have someone seemingly come out of nowhere to be there for me! Over time, with several visits and meaningful conversations, we gradually came to know and appreciate each other more favorably. As these conversations evolved, we built a level of trust whereby we could share our deepest fears and concerns about life and our future. A personal relationship had been formed to the point that I can now say that this person is indeed a faithful, trusted and true friend. Who would have thought that my life could turn around so dramatically because of the lovingkindness of one goodhearted person who mysteriously entered my life and became my best friend! Does this revelation resonate with you –or with someone you know? 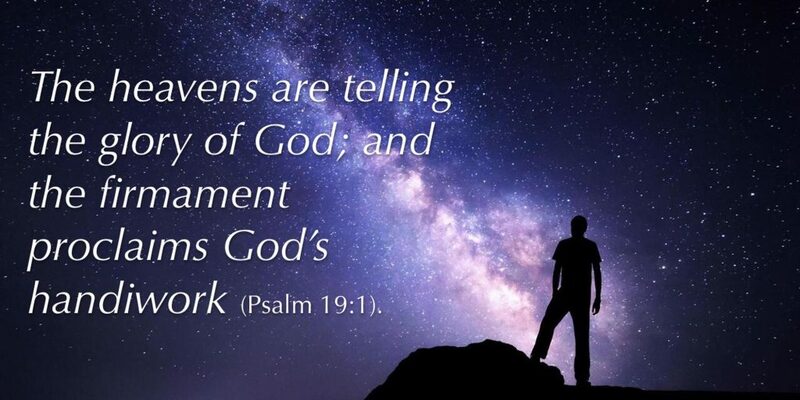 This disclosure is not uncommon; many of us have come to know God in this way. In the testimony above, God is the mysterious person who knows about us, cares about us, and loves us unconditionally. He can enter our world quite suddenly and change the direction of our life. If we truly seek Him, He will respond! He desires us to abide with him both now and into eternity. All we need do is to surrender to his loving call; he will be with us! Though we can know God through his creation and his revelation, we can know him personally through Jesus Christ. When we have self-identified with Jesus, we can truly say “What a friend we have in Jesus”! And yet, because of who God is, we cannot on this side of Heaven comprehend the fullness of God or understand the seemingly paradoxical aspects of his being. Abundant mystery remains! And what is a mystery as it pertains to God? Theologically, a mystery is a religious truth incomprehensible to human reason and knowable only through divine revelation. Another definition: “Some mysteries are not questions to be answered, but are just a kind of opaque fact –a thing which exists to be not known.” God has made sure that we know enough about him for the present; the rest shall remain mysterious until the afterlife. There are many questions one could ask about God. Do you have any questions about God? Ask yourself these questions: Are you curious about God? Do you ever wonder about him? Have you sometimes doubted God? Do you know what he is like? Do you know what he does? Have you ever wondered why he created us? Do you know what he expects of us? Do you know what he has planned for us? Do you trust God? How is God present in your life? Why do you suppose God is invisible? Why is he so mysterious? Have you considered praying to God for the answer to your question? Have you listened for his answer? In September, our church will be participating (with several area churches ) in a six-week program entitled “The Explore God Project”; it is about knowing God –and hopefully answering your questions about him. Details to come! “Here’s another way to put it: You’re here to be light, bringing out the God-colors in the world. God is not a secret to be kept. We’re going public with this, as public as a city on a hill… Keep open house; be generous with your lives. By opening up to others, you’ll prompt people to open up with God, this generous Father in heaven” (Matthew 5:14-16 MSG). First of all, we have multiple buildings. This caller was not as familiar with our area as most of us are. He simply noticed the electronic digital sign at the corner of Academy and Seashore Roads that says, “Energizing worship 10:30 am Sundays”. Price Hall is right there, though. Wasn’t it understandable for the caller to think Price Hall was the place of worship? Many churches worship in similarly looking “school or hall” low profile buildings. The nearness of the sign he noticed to the Price Hall was an obvious connection and mistake to make. Second, we have a huge campus. We enjoy a huge property that includes a cemetery field office, mausoleum, manse, Price Hall, and of course, our red brick worship center. It ‘s hard to see the red brick building standing at the corner or in the parking lot of Price Hall. Our worship center takes up less than 1% of our total area and sits near the north corner. It is a distance of three football fields away from Price Hall! I wonder how many others have not made the connection that the cemetery, Price Hall, and the red brick building are all Cold Spring Church? Third, we have a unique look. We know our red brick building is a place of worship, a church building, and has been for three centuries. It may not seem like a “church” to some who may be used to stone or granite walls and topped by a steeple and cross. Most of us attending on Sunday naturally enter our campus and park close to that building. But no matter how long we have been here, to a person unfamiliar with our history or location, it can be hard to notice. While it’s disappointing to have missed this opportunity to meet the caller and those who may have been with him, we can see this experience as a messaging opportunity. How can we do a better job at being visible? We offer a lot to the community, and we are responsible in making it visible! We have plans to improve our on-campus messaging. Sure, you know where to go, but because we have multiple buildings, a huge campus, and a unique look, the session has already allocated initial funding to improve our signs for others to find where to go. We will enhance our online messaging, too. 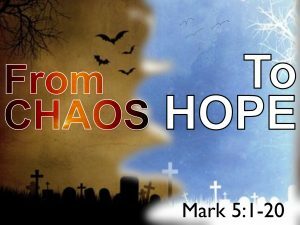 Our website, www.coldspringchurch.com will re-launched in August, designed to be even more useful. Worship, events, and news about our session, deacons, and the many teams and groups who serve will be easy to notice. You can sign-up and even purchase tickets or donate online if you wish. Listen to sermons and access the Brickette. Cemetery services will also be featured. For the first time, we will accept major credit cards. As the transformation pastor, one part of my role is to equip the leadership team and the worshipping community to be more visible, accessible, and achieve even greater impact in the name of Jesus Christ. We have a fantastic opportunity to make God’s love known. Thank you for adding your light and pointing the way so that next time someone is looking for hope, they will easily find it here.